We believe that weight loss means something different to everyone because we all are unique in our challenges and body compositions. This is why we require a one on one consultation to adequately assess an individuals goals and needs in order to create the most successful and optimized program for weight loss. In addition to the dynamic testing and detox protocols, we offer several options of weight loss measures both fast acting and slow and steady. 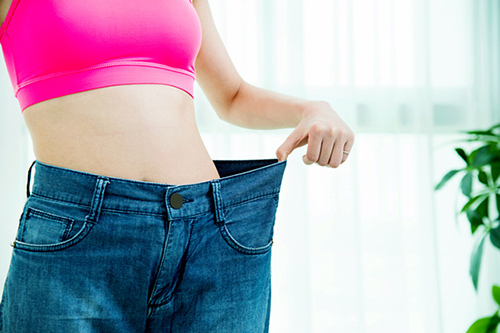 Our HCG Weight Loss program is a fast acting program that utilizes HCG injections designed to curb appetite and enhance fat burning capabilities along with a low calorie diet. Two separate program lengths are offered depending on individual goals. In addition, participants receive a weekly fat burning injection with their weigh-in and one on one weight loss support. M.I.C stands for Methionine, Inositol and Choline- vital ingredients when boosting your metabolism. Methionine is an essential amino acid that breaks down fats during the metabolic process. It acts as a lipotropic agent to prevent excess fat buildup in the liver and the body and is helpful in reliving and preventing fatigue. It also is known to be a powerful antioxidant that supports healthy skin, hair and nails. Please note that patients with a sulfa allergy should not take this vitamin cocktail. Inositol is a nutrient belonging to the B vitamin complex and is closely associated with choline. It also aids in the metabolism of fats, contributes to boosting the immune system and helps reduce blood cholesterol. Inositol participates in the action of serotonin, a neurotransmitter known to control mood and appetite. Choline helps break down accumulating fats in the liver and lowers cholesterol deposits. It promotes the ability to focus and also boosts the immune system. Choline is a powerful antitoxin that protects the body from free radical damage obtained from toxic metals and is known to help support healthy skin, hair and nails. B12 is also a part of this ultimate energy booster! It is among the most important of all the B-complex vitamins and functions mainly in the formation of red blood cells and the maintenance of a healthy nervous system. B12 helps with the metabolism of fats and carbohydrates while aiding in the growth of healthy blood cells, nerve cells and proteins in the body. Lastly, L-Carnitine is a naturally occurring amino acid which plays a vital role in the metabolism of fat. It functions as a transporter of fatty acids into the mitochondria, the metabolic furnace of the cell.